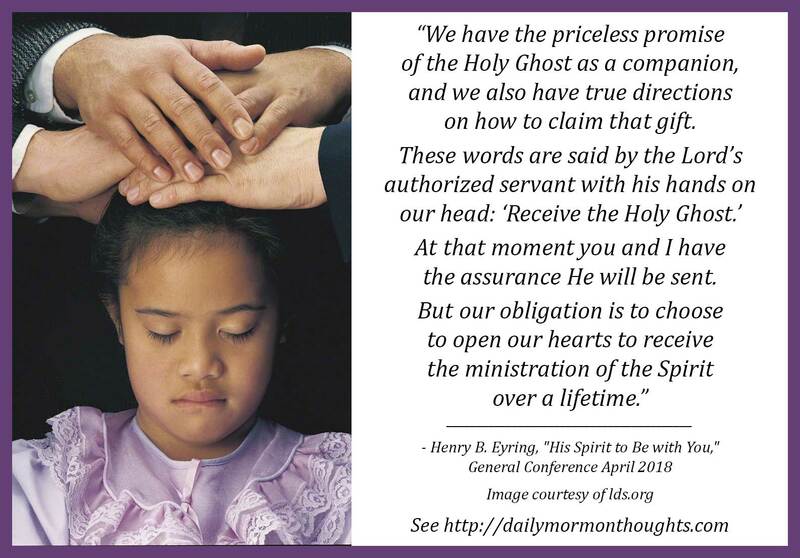 "The Prophet Joseph set an example for us of how to receive continual spiritual direction and comfort through the Holy Ghost. "The first choice he made was to be humble before God. "The second was to pray with faith in the Lord Jesus Christ. "The third was to obey exactly. Obedience may mean to move quickly. It may mean to prepare. Or it may mean to wait in patience for further inspiration. "And the fourth is to pray to know the needs and hearts of others and how to help them for the Lord." 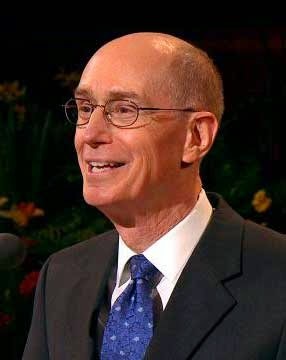 I was impressed by President Eyring's use of Joseph Smith as an example of the principles of receiving the companionship of the Holy Ghost. 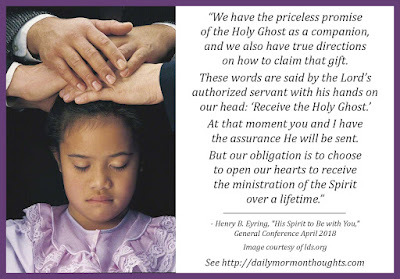 Commitment to humility, faithful prayer, careful obedience, and eager service will open the doors of heaven for us and invite the precious guidance and closeness with the Spirit that we so badly need in our time.